Dinner party invitations may come several times during the year. But for various reasons, you cannot attend all of them. So if you are busy and can't make it for the dinner invite, here are some sample sorry messages which can be sent to the host for not attedning the dinner party. Read on to find the perfect sorry note right here. I am sorry I was not able to attend your dinner party yesterday. I am sure you had prepared a sumptuous meal for your guests. I had to leave the town yesterday afternoon for a film audition so could not make it! Your dinner party was marked on my calendar but I felt bad that I missed it. My previous meeting was extended and I thought I can still come but it ended very very late. Please accept my apology. 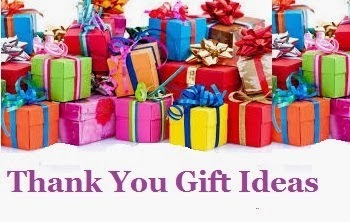 I got injured a day before your dinner party, I am sorry for not making it to your birthday dinner party. I was not able to attend your dinner party because I was not allowed to go out of the house since we had sudden guests at home. My paretns friends came over and I ended up helping my mom in the kitchen. I am really sorry and hope to see you soon. My dog was not feeling fine since few days and I have got the appointment for today evening so please mark that I will not be able to attend your dinner party today. Will catch you at the weekend. 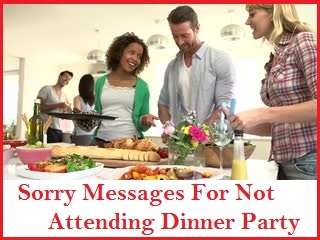 I am sorry I have a prior commitment that I cannot let down so I am really sorry for not attending your dinner party. 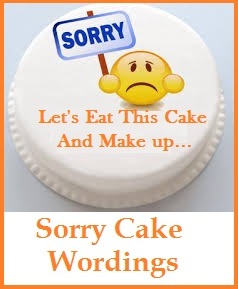 I am sorry my brother has organised his housewaring party the evening of your birthday so I will not be able to attend your birthday dinner party dear. I hope You will understand. Excuses, excuses, excuses…I know there is no good excuse why I failed to be there in your dinner party. I apologize for that. But the reall excuse is that I was out of town dear. My car broke down and I am really sorry that I was not able to attend the dinner party. Please forgive me. What a bad day for me! On my way to your dinner party my car broke down. I need to wait for the towing truck to come. I am really sorry I could not make it to your dinner party. I apologize I was not able to come because of a job interview which got scheduled on the same date of your dinner party. Waiting for the result now will catch up with you this saturday. I am sorry that this message came late to you, I would like to say sorry again for not making it at your dinner party. At the last minute, my parents asked me to drive them to an event. My sincere apology for not attending your dinner party. I hope you will forgive me actually I was abducted by my sister for her wedding shopping which took really long. I would like to inform you in advance that I cannot attend your dinner party on (date of the party) because I have a one week workshop in Delhi. Enjoy it to the fullest I will catch you when I will be back.